Serckit (formerly the SERC CMS) was designed with support for these best-practices in mind. Through Serckit, you have access to a variety of tools to facilitate the run up to, execution of, and follow-up to your workshop at the Transforming Institutions Conference. Each workshop has a private email list that includes the participants and convener(s). This email list can be used to broadcast information to all of your participants and can also be configured to allow discussion between participants if you wish. This can be a good way of generating participant interaction around particular topics ahead of your workshop. Contact your web team support person for the unique email address of your list. You can use Serckit's survey tools to gather information about your participants to aid in customizing your program for them. We recommend posting such surveys far enough in advance of the conference that you will be able to get a good response rate and also have time to digest the information that you receive. If you want to run such a survey, contact your web team support person before March 15, 2019. Each workshop has a page available for drafting and publishing a program for your workshop. This will help workshop participants come prepared and knowing what to expect. We ask that you publish a clear workshop program online by March 1, 2019. Each workshop comes with a private workspace for use by the workshop participants. 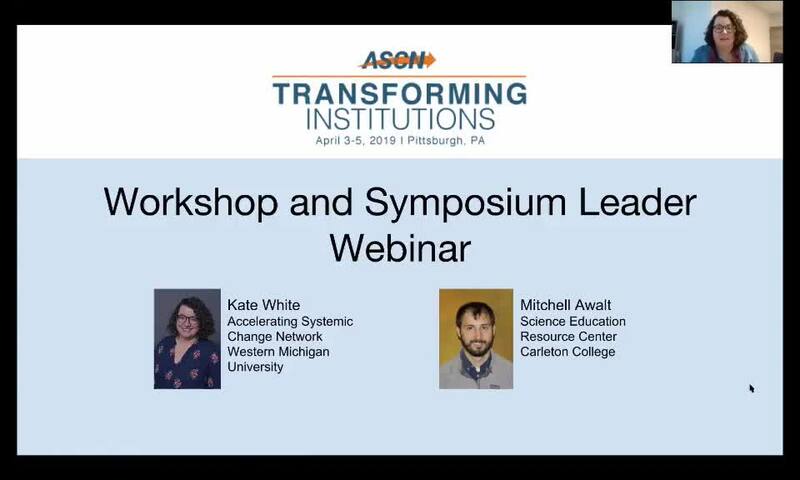 Participants can easily record discussion notes, synthesize community consensus, draft teaching or outreach materials, develop action plans and many other activities. You can see examples of how Workspaces can be used in the context of a workshop in this Example Workspace from On the Cutting Edge. Your web team support person can help you configure the workspace to support the kind of interaction that you want to facilitate so please have a conversation with them far enough in advance to set things up. March 15, 2019: Tell SERC support person what features you want (pre-surveys, workspace, road checks, etc). Sooner is better - this is the absolute last date.